High blood pressure is serious condition that can increase your chances of developing atherosclerosis, or hardening of the arteries, heart attack, stroke or kidney disease. According to the National Heart, Lung and Blood Institute, about one in three Americans suffers from high blood pressure. Lifestyle changes, such as reducing stress and increasing physical activity, may help to lower blood pressure. Dietary changes, such as taking vitamin E supplements, may also decrease blood pressure. Your blood pressure is considered high when your systolic pressure, the pressure exerted on your arteries when your heart pumps blood, is higher than 140 millimeters of mercury and your diastolic blood pressure, the force exerted on arteries in between heartbeats, is higher than 90 millimeters of mercury. Ideally, your blood pressure will be less than 120 over 80. Many symptoms of high-blood pressure are silent, but some overt symptoms include headaches, dizziness, severe anxiety, shortness of breath or nose bleeds. Have you blood pressure checked if you regularly experience any of these conditions. Vitamin E is a fat-soluble vitamin present naturally in many foods, fats and oils. It functions as an antioxidant, which helps to protect your body from harmful molecules called free radicals. It's also essential for proper use of vitamin K and for making red blood cells. Because your body is capable of storing vitamin E, severe deficiencies are rare. Adults should get at least 22.4 international units of vitamin E daily. According to an October 2002 article in the "International Journal for Vitamin and Nutrition Research," supplementing higher doses of vitamin E may have a positive impact on blood pressure. The October 2002 article in the "International Journal for Vitamin and Nutrition Research" notes that supplementing with 200 international units of vitamin E may help lower blood pressure and slow heart rate. The study supplemented patients with mild hypertension with vitamin E for 27 weeks. Decreases were seen in systolic and diastolic blood pressure and in heart rate. Vitamin E may impact nitric oxide production, which promotes vasodilation through relaxation of smooth muscle, decreasing pressure on arteries on veins. Researchers suggest the use of vitamin E supplements long-term to improve blood pressure in hypertensive patients. According to research published in the journal "Hypertension" in 2001, the antioxidant properties of vitamin E decrease blood pressure. Antioxidants may help to promote vasodilation, reducing pressure on the arteries. Researchers believe that because vitamin E is an antioxidant, taking it as a supplement may reduce oxidative stress, improve vascular function and help to prevent hypertension. This research was conducted on rats, however, and more studies are needed to determine the efficacy of vitamin E to lower blood pressure in humans. 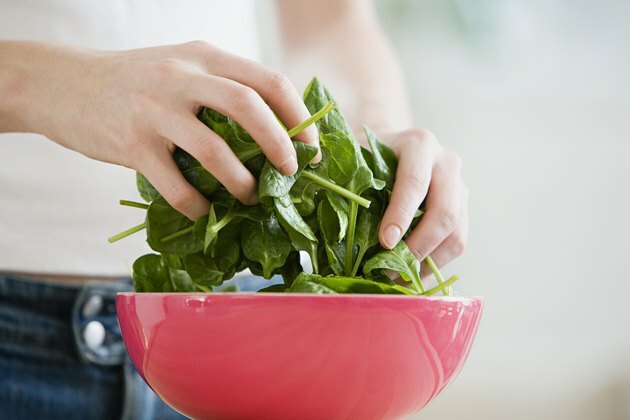 If you're currently taking medications called beta blockers to treat high blood pressure, you may want to avoid high doses of vitamin E. The University of Maryland Medical Center notes that vitamin E may interfere with the absorption of these medications, thereby negating their positive impact on blood pressure. Beta blockers function by stopping the action of certain nervous system stimulants, such as adrenaline, on the heart. This helps to reduce stress, slow the heartbeat and lower pressure on the blood vessels. 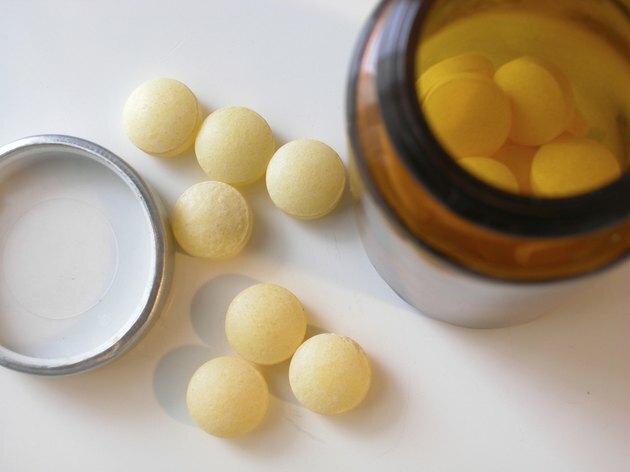 Consult your health care provider to see if vitamin E is safe for you to take. 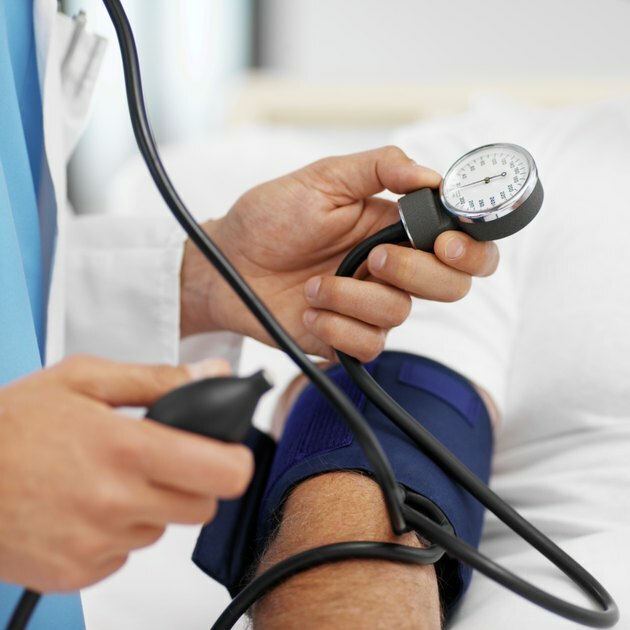 American Heart Association: What Are the Symptoms of High Blood Pressure? Medical News Today: What Are Beta Blockers? What Are Beta Blockers For?